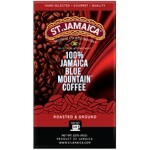 A SUPREME BLEND OF THE FINEST COFFEE BEANS MASTERFULLY ROASTED TO INSTANT PERFECTION. 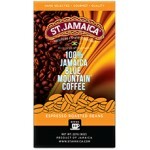 Enjoy the rich authentic, lively flavourful brew in an instant-ST.JAMAICA® Coffee. 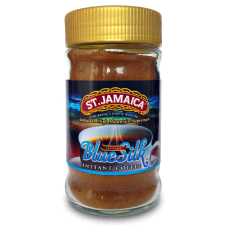 ST.JAMAICA® Supreme BlueSilk® Coffee is made from a premium blend of Jamaica’s finest High Mountain® coffee, roasted to a masterful perfection under the watchful eyes of our certified taster. 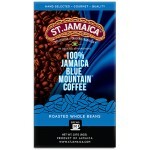 Certification, is supervised at every stage of growth and production by Coffee Industry Board of Jamaica to ensure consistent quality. 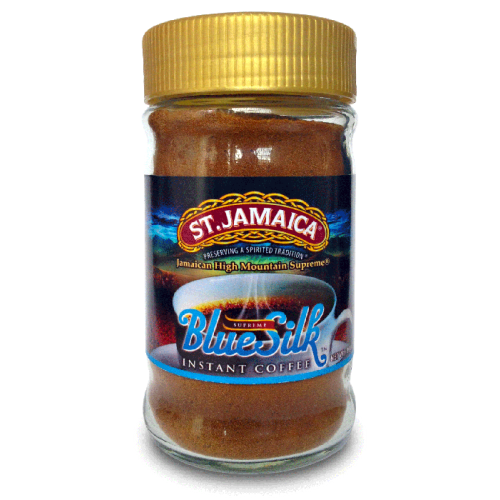 HOT: For average strength place one teaspoonful in a cup, add boiling water and stir. Sweeten as desire. ICE: Dissolve one heaped teaspoonful in a small amount of warm water in a glass; add ice and fill with cold water.Sweeten as desire. Store your coffee properly sealed air-tight conatiner after opening.